The coccyx is the small triangular bone at the bottom of the spine, mostly found in humans and some primates. Some people call it simply as the tail bone. Coccyx pain or tail bone pain is a common musculoskeletal problem that can result from direct trauma, childbirth, or chronic biomechanical problems in the pelvis. It occurs in both men and women, and often becomes chronic. It causes severe discomfort or pain upon sitting, especially when prolonged, like driving in the car. Sometimes, it can be mistaken for dyspareunia and bladder problems. 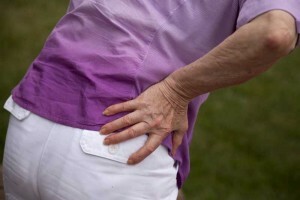 As of the present, there is no known definite reason why some people experience coccyx pain. However, if there is an injury triggered by an extreme force on that part of the spine, then inflammation and pain can indeed occur. It is rare that bones in the coccyx get fractured, so it is likely that the ligaments and tendons are the ones damaged or inflamed. A dislocation in the vestigial disc may also be the cause of the pain in your tail bone. The worst case scenario is that a tumour or cyst has developed and is the one triggering the painful sensation.